Britain's Crown Agents has agreed to publish information about its remuneration for procurement of medicines and medical products using 2016 national budget funds, about suppliers and the list of goods procured. Crown Agents gave this information in a letter to the Health Ministry dated January 31, 2017. According to the letter, under the agreement signed by Crown Agents and the Health Ministry on October 27, 2016, the sides agree to publish information about the sum of budget funds provided to procure medicines for each program, the list of contracts with suppliers who won the procurement tenders indicating international nonproprietary names (INN), the total cost of the agreement and the name of the supplier. Crown Agents said that the publication of any other information requires the written consent of the company and the Health Ministry to disclose the information. Crown Agents said that Crown Agents does not mind to publish information about its remuneration (5%) and the list of goods to be procured to stop insinuations in media. In turn, the United Nations Development Program (UNDP) in the similar letter to the Health Ministry said that under the contracts signed between UNDP and the ministry, they can publish information about the sum of budget funds sent to the UNDP to procure medicines and medical products, including the sum for each program. The UNDP and Health Ministry can publish the list of contracts signed with suppliers under INN, the number of goods under the contracts and the names of suppliers. The UNDP said that the contracts with the Health Ministry contain sensitive and confidential information. The copies of the contracts cannot be handed to third parties. The provision of information about the price of unit is banned, as this information is considered sensitive in line with the UN information disclosure policy, the UNDP said. 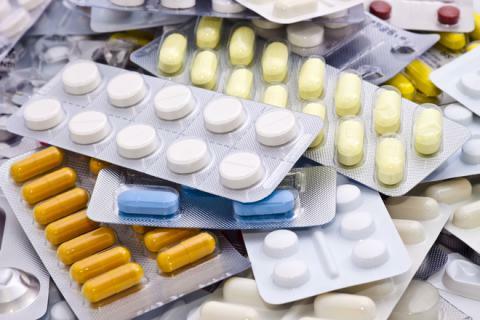 Earlier members of the parliamentary healthcare committee declared unsatisfactory the procurement of medicines and medical products using the 2015-2016 budget funds. They wanted to ask Ukrainian Prime Minister Volodymyr Groysman to publish contracts signed by the Health Ministry and specialized international organizations related to the procurement tenders and the conditions of these contracts. One of the international organizations told Interfax-Ukraine that the texts of the contracts were handed to lawmakers, apart from confidential information about the parties signed the contracts, in particular, the account information. However, the lawmakers demanded the full information.